The CVT or Continuously variable transmission is something that first appeared in F1 in the Williams FW14B and was so good it got banned almost instantly. Since then the CVT has seen application in production cars with great success (most notably the Nissan Murano). All of these current CVT gearboxes offered by various manufacturers such as Honda, Suzuki and Subaru have something in common; they all rely on the pulley and belt principle. 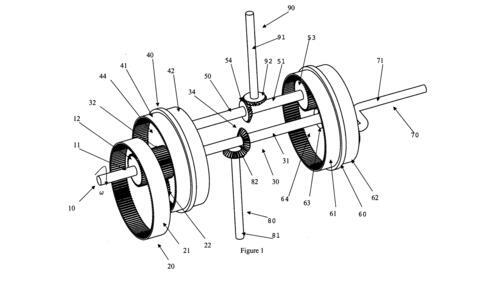 This is where Australia’s Steve Durnin comes in because he thinks his idea is a lot better as the continuously (or constantly) variable transmission he’s developed does away with pulleys and belts and instead features a system where all the gears are engaged continuously. While the information on it is still scarce and the patent data Durnin has supplied is a bit confusing there’s still some understanding as to what is going on inside this new gearbox. The system basically consists of f a pair of ring gears and parallel transmission shafts. Both transmission shafts have a modulator mechanism that can rotate them and thus adjust the effective input-to-output ratio. 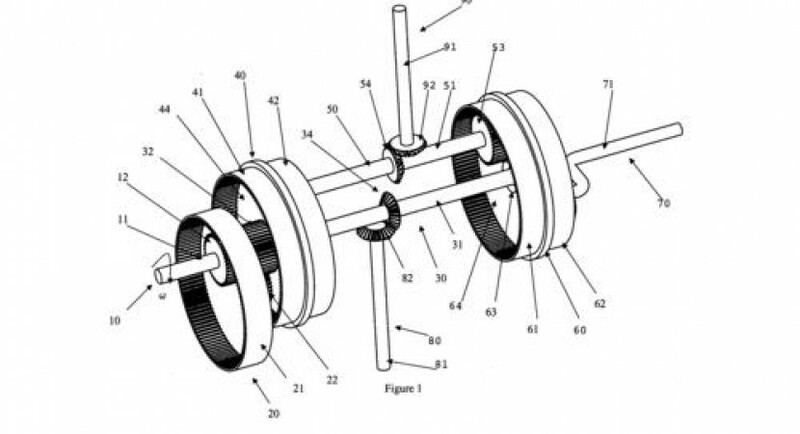 This is where things get a bit unusual as there is a device that would seem more at home in a differential that is probably purposed in adjusting the relative speeds of the two shafts. Leaving the techno freak spectrum Steve Durnin claims that this new arrangement boasts a 20% improvement in efficiency (which is immense by any engineering standards) but mentions that the modulator device will require an additional energy input to function. Perhaps this will bring a bit of revolution to the efficiency of our cars or at least better service life for a CVT gearbox.